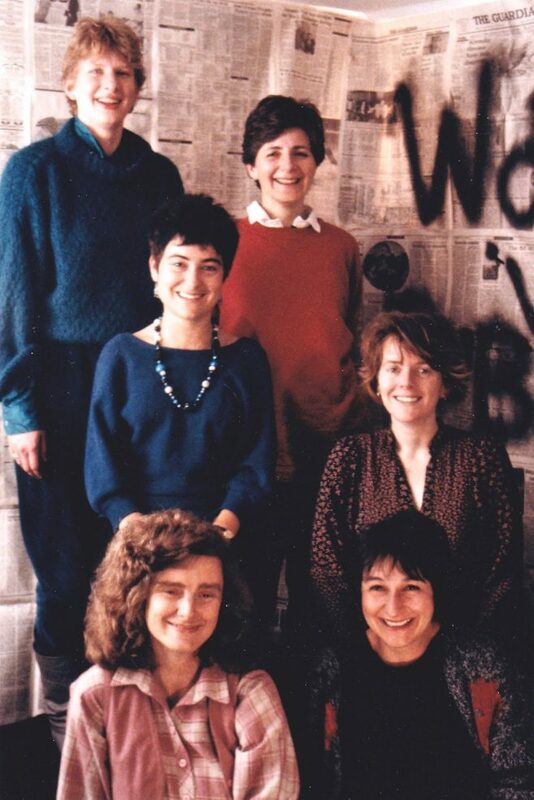 Photo above ‘Reviewing the Reviews’ team in 1987.
. Lesley Levene and Katharine Harding are not present. WiP challenged the status quo by publishing research into areas of inequality and prejudice: Reviewing the Reviews monitored the treatment women authors received from the review pages of the press; Twice as Many Half as Powerful (1989) analysed employment of women in book publishing ; A Case of Covert Discrimination (1995, The Bentinck Group) examined barriers to women’s career progression . WiP also campaigned on specific issues such as sexism in advertising.